Experience a terrifying celebration of the horror genre when Hell Fest arrives on Digital December 28 and on 4K Ultra HD™ Combo Pack (plus Blu-ray and Digital), Blu-ray™ Combo Pack (plus DVD and Digital), DVD, and On Demand January 8 from Lionsgate. From Gale Anne Hurd, an executive producer of TV's The Walking Dead, executive producer Tucker Tooley (Limitless, Den of Thieves), and directed by Gregory Plotkin (editor of Get Out, Happy Death Day, and director of Paranormal Activity: The Ghost Dimension), Hell Fest is one truly terrifying ride. The scary slasher film stars Amy Forsyth (TV's The Path, Rise, Defiance), Reign Edwards (TV's Snowfall, MacGyver, The Bold and the Beautiful), Bex Taylor-Klaus (TV's Scream: The TV Series, Arrow, The Last Witch Hunter), and the legendary Tony Todd (Candyman, Night of the Living Dead, The Crow). Story by William Penick & Christopher Sey and Stephen Susco, Screenplay by Seth M. Sherwood and Blair Butler and Akela Cooper. Take home Hell Fest and go behind the scenes with an exclusive, never-before-seen featurette, "Thrills and Kills: Making Hell Fest." Experience four times the resolution of Full HD with the 4K Ultra HD combo pack, which includes Dolby Vision™ HDR, bringing entertainment to life through ultravivid picture quality. When compared to a standard picture, Dolby Vision can deliver spectacular colors never before seen on a screen, highlights that are up to 40 times brighter, and blacks that are 10 times darker. 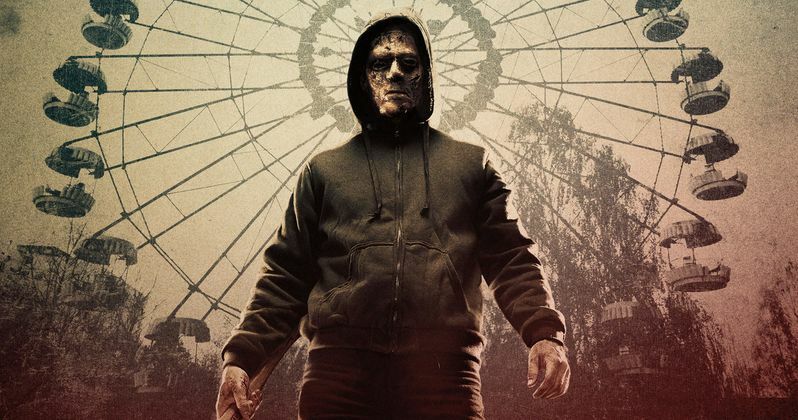 The Hell Fest 4K Ultra HD Combo Pack, Blu-ray Combo Pack, and DVD will be available for the suggested retail price of $42.99, $39.99, and $29.95, respectively.